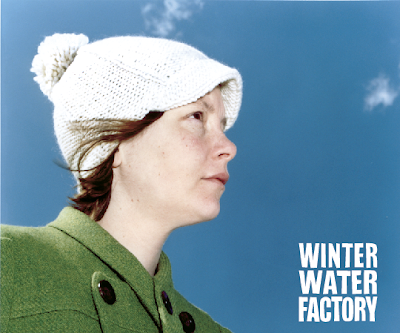 It's been 10 years since I went down to the Brooklyn County Clerk's office and signed up to "do business as" Winter Water Factory. I walked out with my stamped and sealed certificate, proud and amused that the factory my sister and I invented many years ago on her snowy balcony in Germany was now a real thing. I was at the time knitting hats and sewing bags for a little store called Johnson on the Lower East Side, and thought I better make it official since I was putting winter water factory labels on them. Little did I know what would become of this endeavor, and looking back I have to say the best part as always was the people I met along the way! Kim Johnson, the owner and creator of Johnson, is still a friend of mine. I run into her and her super-awesome kids at the playground up the street from the studio (with her daughter wearing a visibly worn-out wwf dress), and she's just one of many others. The other good parts - at least looking back - were all the crazy struggles and weird situations that come along with starting a company and figuring it out as we go along, but those might have to wait for another post. The things that we're most proud of are some decisions that we made early on, some basic rules for us that we've stuck with and that looking back have sometimes made it harder for us but in the end have made it all worthwhile. When we learned about how many pesticides are used in conventional cotton growing, we decided to only use organic cotton. From the start we said that we would only produce everything in the US, and make sure our supplies are made here as well. We're glad we've been sticking to these rules for many years - they turned out to be the right choices! The design and the inspiration, well, that's the fun part, and we're really thankful that our customers and their parents appreciate our style and have been supporting us and helped us grow over the years. That's really who made us who we are. 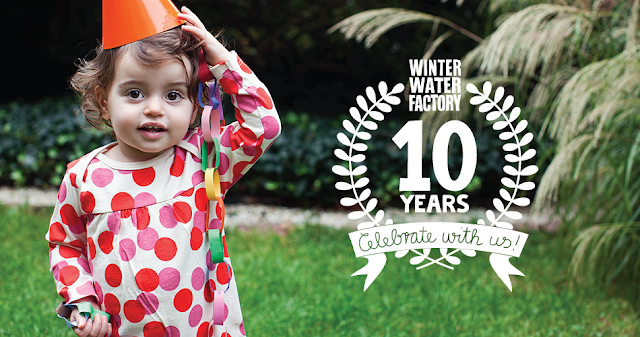 We can't wait to see what the next 10 years will bring! Thank you for your continued support and love!